Nice deseign. 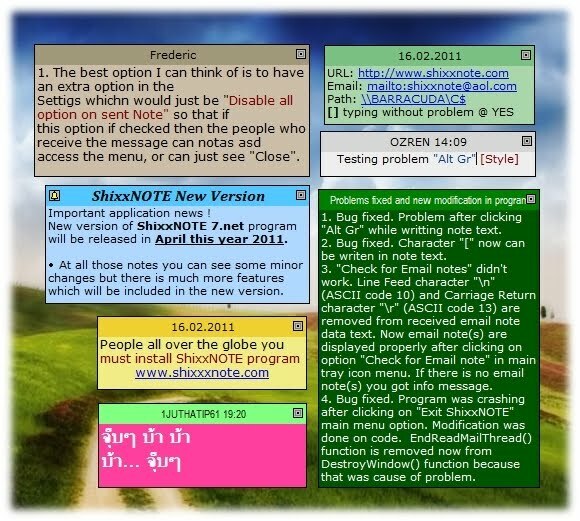 Good idea to get ShixxNOTE program main menu on windows7. Sounds interesting!!! Actually I am writing my plagiarism free project and getting important points from different blogs and forums and This is my pleasure to being here on this blog.. I really wanted ShixxNOTE to be really nice and neat program, which will stay in tray but when you start to dig you will find many settings, configuration dialogs and menus. Like that main program menu (with "Settings" option) which you get when you click (right mouse click) on tray icon.